Do you find the thought of writing a book terrifying? Do you want to write, but you don’t know how, or where to start? That’s what my next book will help you do. 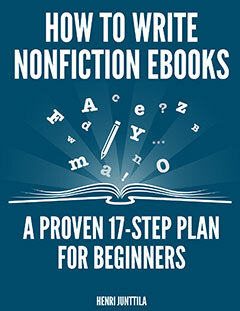 In How to Write Nonfiction eBooks: A Proven 17-Step Plan for Beginners you’ll discover my writing process. You’ll uncover how I keep writing despite the fear, doubt, and overwhelm that I so often feel. I’m not a world-class writer. I don’t have special talents. I’m on the emotional roller coaster of humanity, just like you, but that isn’t the problem. Before I wrote my first book, I was terrified. I didn’t know if anyone would like my writing. I didn’t feel like I had anything to say. Who was I to publish my words when there were so many “better” writers out there? But the thing is that I can’t not write. So I refused to believe my own thoughts. I could make myself feel bad. I could keep myself from doing what I love. I could, but I refused. I was going to write. I knew that I could only do my best, so I wrote, and I let life take care of the rest. I’ll stop rambling there and let you discover the rest on your own. And as always, there’s so much more. 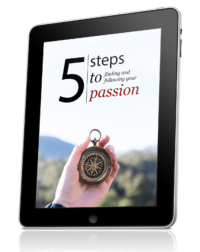 As always, I need your help to get reviews on Amazon so this book can inspire more people to follow their inspiration, and publish their words. So when you’re done with the book, and if you enjoyed it, remember to leave a review on Amazon, because it does help. Leaving a review only takes a few minutes. I really appreciate your help. Please note that the price may vary from country to country because of how Amazon handles sales tax/VAT. Hey Henri – I cheated a little 😉 and got in early and went straight to Amazon and purchased it. Loving it big time. This one is definitely going into my virtual nonfiction writer’s toolbox. You’ve actually got me excited about working on and pushing some of my nonfiction books out into the world (it’s a different world when you’ve been hiding as a ghostwriter as I have, to go the next step and do it yourself). 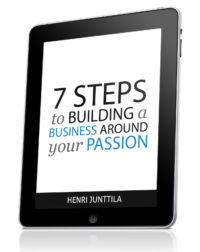 Well done, Henri – and keep on writing cause I’ma buying…. Glad you liked the book. And look at it this way, if you’ve been a ghostwriter, you’re already getting paid for your words, so it’s just a matter of revealing your name. I was pretty much doing it on my own (and learning on the go ie: information overload) and it’s books like yours that really get me excited about the nonfiction craft. Hey Henri, this new release sounds incredibly cool man. Just got my copy, will come up with a review for it soon, thanks brother! Woo. Thanks again for the support, Sergio! Without becoming an Amazon relient person would you have a PDF version for download? Kobo? Not at this moment. The book is currently exclusive on Amazon (under contract), so I can’t send or sell it outside of the Amazon platform.